To reduce the burden of commuting and to alleviate traffic congestion during peak travel hours, more workplaces are turning to telecommuting. Telecommuting occurs when employees work at home or at a satellite or neighborhood work center using electronic communications to interact with coworkers rather than in person at their normal place of business. 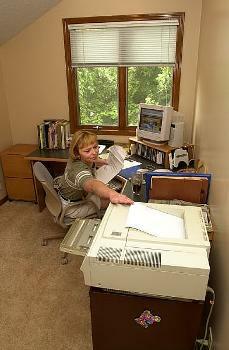 Telecommuters meet employer qualifications and usually telecommute only part time. Activities that are not work related can also be done remotely, including Tele-learning, internet shopping, banking, and research. Click the links below to learn more about telecommuting.